The new year is here, and with it comes new kitchen trends. Out with the old, and in with the new! In 2018, we saw white kitchens, neutral tones and recessed lighting. New trends are being implemented already. Let’s look at a few exciting kitchen trends for 2019. Matte Appliances have taken over the kitchen scene. Homeowners have opted for the black matte finish over stainless steel appliances. 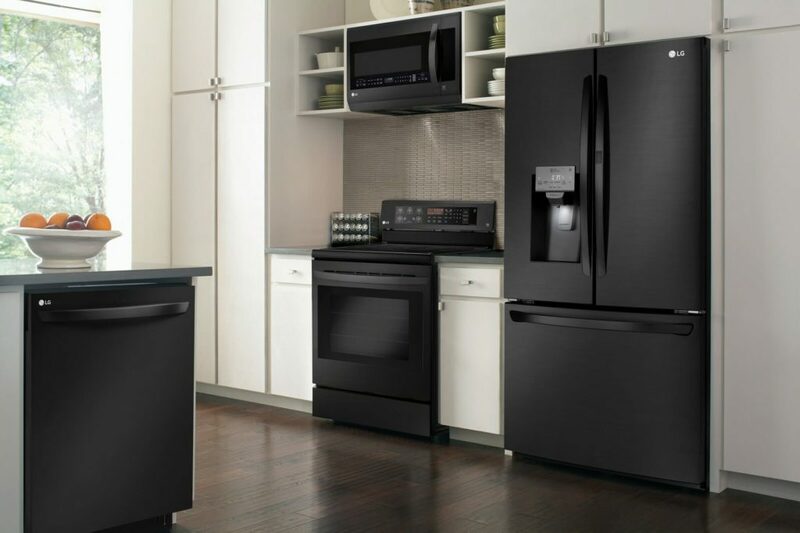 Matte black appliances reduce the visibility of fingerprints and stains. They offer a sleek and modern looking style that is sure to be a big hit in the new year. Homeowners have already begun pairing these matte black appliances with copper and metallic accents. Gold and copper accent colors and accessories pop against the sophisticated matte black stoves, refrigerators, microwaves and other appliances. These accents are like jewelry in a kitchen and bring everything together. 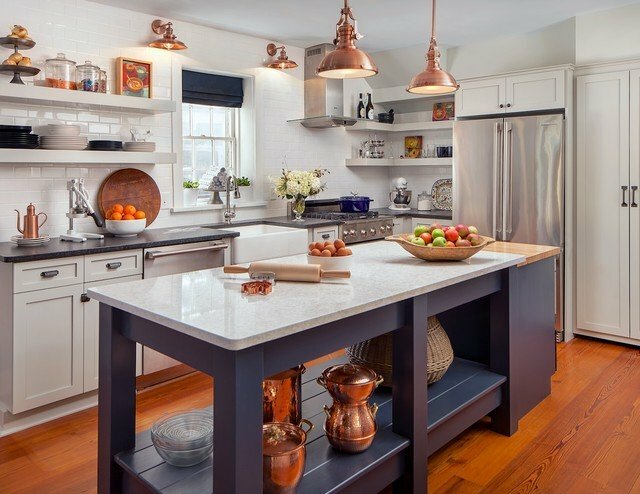 Copper lighting, dishware and decorations make your kitchen look and feel elegant and classy. New year, new remodeling! The beginning of the year is the perfect time to start a new kitchen renovation. Start 2019 fresh with new kitchen ideas and countertops. Now is the time to add an island or expand your counter space with some stunning new tops. K&D Countertops offers many designs and edges for you to choose from. Stop by one of our seven showrooms across the STL area. We’ll help you find the right countertop for your next home remodeling project. One trend that is on the rise is covered sinks. Do you wish there was an easy way to quickly and conveniently hide your dishes? Now there is! Homeowners are opting for a minimalistic countertop approach that is free of objects cluttering their kitchen spaces. These covered sinks are actually tiles that slide back and forth to hide your dishes, and sink entirely from view. 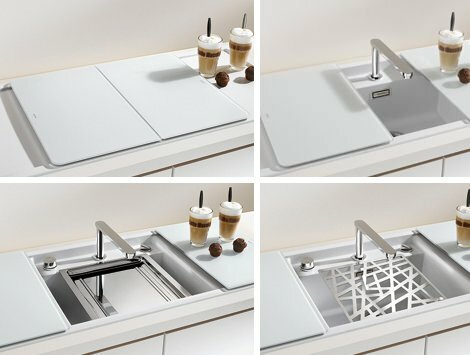 Simply open the panels to reveal your sink and other compartments. How useful is that? Pendant lighting is dropping its way into kitchens all over the world. Recessed lighting is fading out, and drop lighting is making a big impact. 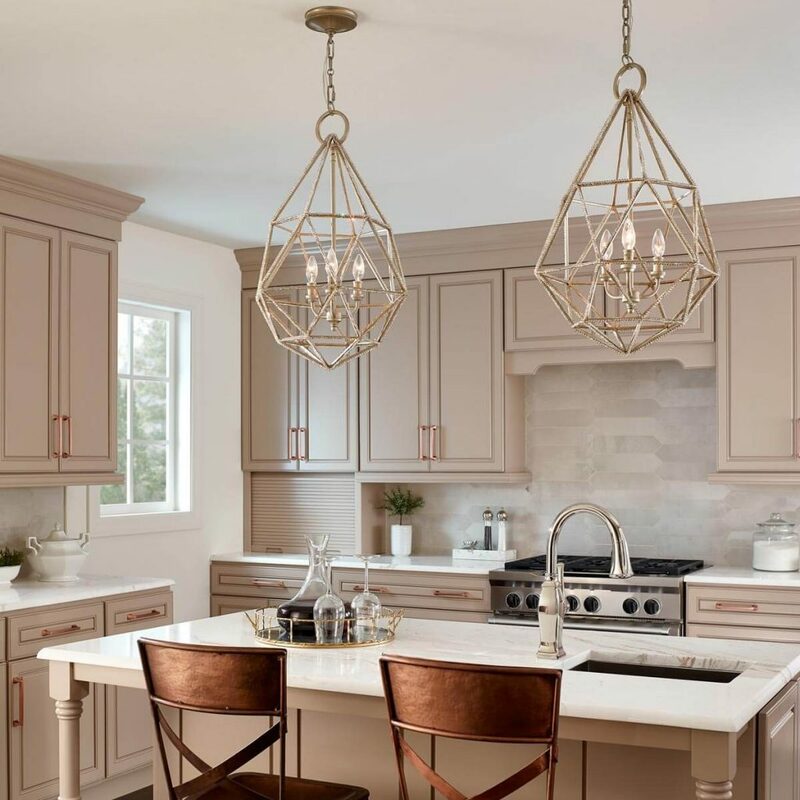 Pendant lighting adds a unique touch and little bit of character to the kitchen. It can take on many forms and comes in many options to help you personalize your own lighting. Drop lighting can make a subtle or bold statement depending on the piece. If you’re looking to add a little more self expression into your home, we recommend taking a look at pendant lighting. 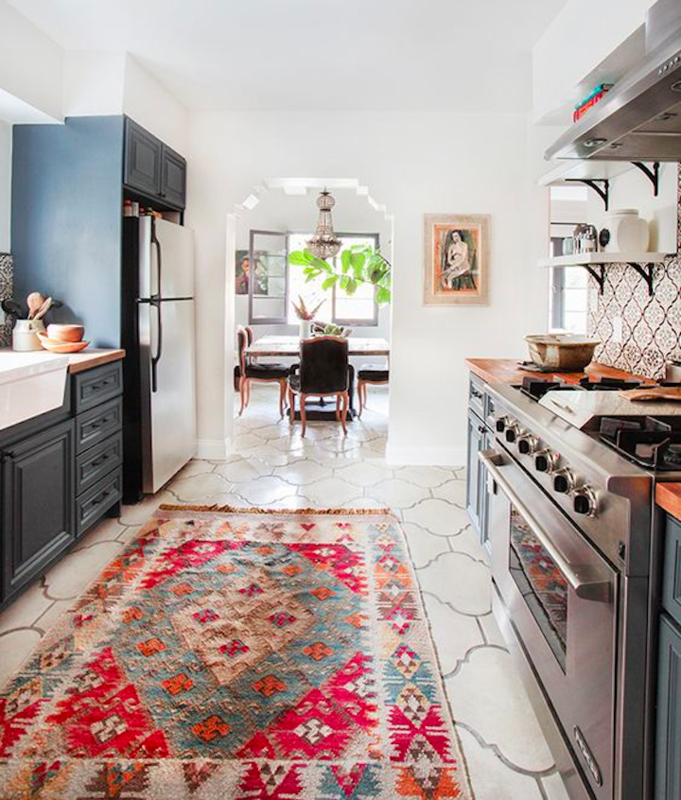 Another way to create interest and impact in your kitchen is to add a statement run or bold ceramic tile pattern. Ceramic tile is a bit more budget-friendly compared to other flooring options. These floors are great for any type of aesthetic, from rustic to vintage to modern. Just make sure the other patterns or veining in your design compliment each other and create the vision you want to achieve. 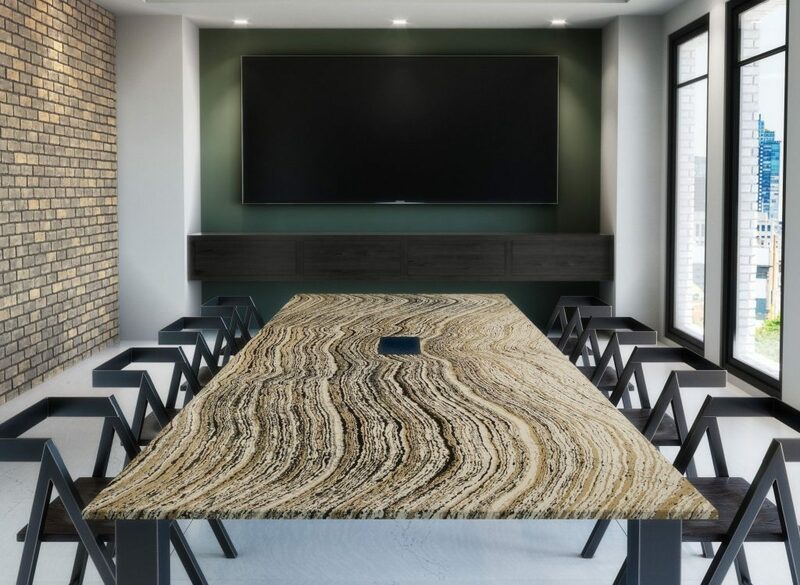 2019 is sure to be the year of statement pieces, matte appliances and stylish accents. We hope your new year is filled with beautiful kitchen transformations and home remodeling projects!